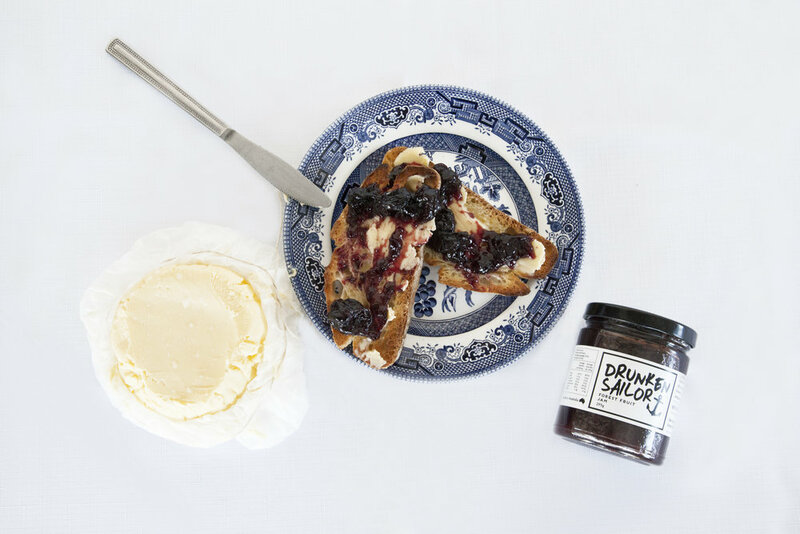 What better way to wake up on a Sunday morning and toasting your sourdough, opening up a jar of your favourit Drunken Sailor jam and spreading your very own homemade butter. its so simple and its tastes so delicious. Using an electric mixer mix until the cream separates (about 8 minutes) strain and reserve the liquid (buttermilk) and mould the solids into a ball. Run under cold water and massage the butter until all the liquid is gone. I like to add a little bit of salt for flavour. Wrap butter in baking paper and keep in the fridge. Spread on toast with a generous amount of your pick of Drunken Sailor Jams. The reserved buttermilk can now be kept to brine meat, make blini, fried chicken batter and start fermentation.